Why: A month ago, Shutter Island stood alone as our least desirable island destination. Scratch that. Indian Island (or Soldier Island or... something else Island depending on which edition you've read) is now our number 1 least desirable island destination. If you ever receive an invitation in the mail offering an extended weekend getaway, DON’T RSVP. And Then There Were None begins as 10 random individuals receive invitations to stay as house guests in an elaborate mansion. Upon arrival the group is surprised to hear that their host is not present. After the first guest is confronted by his untimely death, the group realizes things may not be as they seem. In fact, things are quite unpleasant. When the second guest dies, every person must fight against paranoia and the other house guests for their own survival. 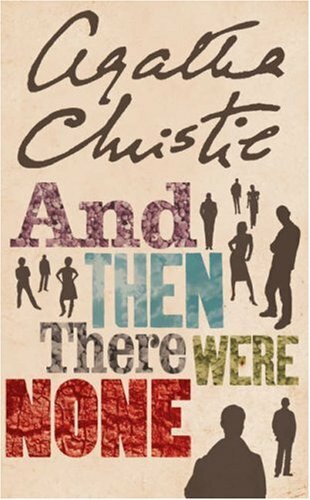 In our opinion, And Then There Were None was good, but not great. The idea for the novel was compelling and the diverse cast brought plenty to the table, but the suspense was a little lacking. Maybe the title gave too much away??? For whatever reason we didn’t find ourselves dying to know who done it. Now, Agatha Christie set the bar extremely high with Murder on the Orient Express and we’re forced to judge her accordingly. We give high points for the ridiculously creepy “10 little Indian boy’s” song and accompanying figurines. But in the end we were hoping for a few more goosebumps. 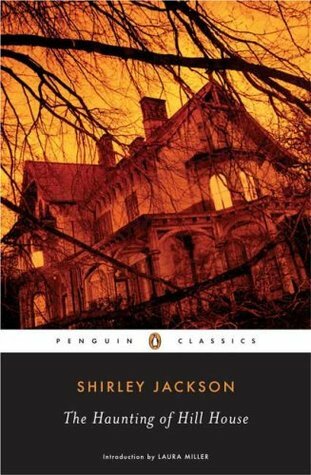 Despite our unenthusiastic ramblings, And Then There Were None is still a must read and worthy of your time. Our own desire to read more Christie novels remains strong. Any suggestions what novel we should tackle next? Books to Movies Challenge - 3 Day's Left! With only 3 days left in May, time is running out to sign up for the 2011 Books to Movies Challenge (actually you can sign up any time in 2011, but we thought a little friendly pressure might encourage some extra participation)! Click here to visit our original post and join the life altering experience!!! Personally, we've got our picks ready to go can't wait to get started. Libray holds. Check. Netflix movie queue. Check and Check! Why: To best describe our thoughts on Atlas Shrugged we will attempt to borrow a quote from legendary Piston Cup racecar, Lightning McQueen, “I create feelings in others that they themselves don’t understand.” This novel has the ability to do the exact same thing. Standing in at 1,300+ pages Atlas Shrugged is riddled with explosive themes that cut to the core of the capitalism vs. government control and self interest vs. self sacrifice debates. Needless to say we were licking our chops (although this was mainly due to the fact that we had just ended a 36 hour carb cleanse)! The novel begins as Dagny Taggert, railroad executive for Taggart Transcontinental, begins to fight a series of uphill battle against difficult economical conditions and increasing regulation. The first half of the novel is filled with hardship after setback after hardship as the novel’s heroine is challenged with keeping the family railroad afloat amidst her brother’s incompetence. As conditions worsen, executives and innovators around the country mysteriously disappear, leaving their companies to ruin. Dagny is left with no choice but to begin a journey of self exploration as she attempts to uncover the truth behind the bedlam. 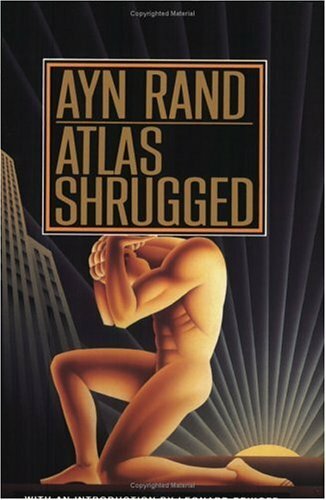 Atlas Shrugged was one of the better “long” novels we’ve read. The dystopian world smells and tastes a lot like America of the early to mid 1900’s, although there’s just enough differences to keep the reader guessing. The plot is engaging and the characters have the ability to elicit strong emotions. James Taggert and Wesley Mouch in particular were quite successful at spiking our blood pressure on multiple occasions. Atlas Shrugged is positioned squarely on the side of individual achievement and entrepreneur spirit. And while events in the novel are taken to the extreme (we hope), Rand presents her case in a compelling and thought provoking manner. There were parts that we hated and there were parts that we loved. And then there was the lengthy speech by Mr. Galt advocating rational selfishness that nearly made our eyes bleed. Nonetheless, the novel is incredibly relevant as the debate over free markets vs government regulation continues to intensify. Most importantly, Atlas Shrugged made us think, which is a good thing... we think. Actually, it is. The novel made us think a little differently about certain social/economic topics and reinforced our view on others. Rand should definitely be on your TBR list and if you choose this one, make sure you clear your reading schedule for a week or two. Editor’s Note: Two Bibliomaniacs defines a “long” novel at 1000 plus pages. Enter, The Looking Glass Wars. 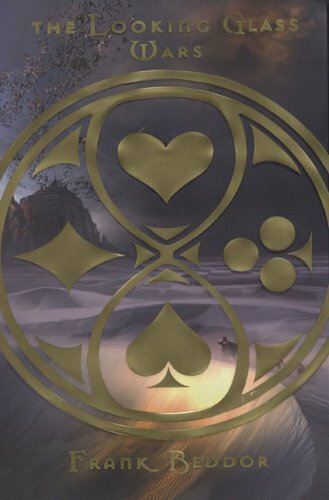 Eleven year old Alyss Heart’s world is thrown into chaos when her Aunt Redd attacks the peaceful city of Wonderland and establishes herself as Queen. After witnessing her mother’s demise, Princess Alyss is forced to flee through a wormhole type portal called The Pool of Tears. Friendless and scared, she is transported to earth to begin a new life. Not surprisingly, no one believes the true tale of her past or the details of her homeland. Worse, she encounters the real life Lewis Carroll, who takes her story and patches it into a woefully inaccurate, yet highly successful line of fantasy books. The future appears rather bleak for young Alyss, yet for Wonderland to be restored to glory, she must embrace her destiny. In a word: really impressive. The Looking Glass Wars is one of the most imaginative works of fantasy we’ve encountered in a while. The novel was fast paced and truly unique in its conception. We loved how the novel even addressed the motivation behind Lewis Carroll’s original work. And while many of the characters remained consistent, they all received a makeover in awesomeness. The Mad Hatter is now Hatter Madigan: Imperial Bodyguard. The Cheshire Cat is now The Cat: Ninja Assassin. The Red Queen and The Queen of Hearts are merged into one super villain named Redd Heart: Black Imagination Extraordinaire. The Looking Glass Wars also introduces many fascinating concepts, but most interesting was the idea of the imagination. The reader is introduced to White and Black imagination, and the power of imagination warfare. Yep, it’s all that it sounds and more. Weapons and fighting techniques as vast as your imagination... Still, speaking from experience, it’s not as easy as it sounds. Editor’s Note: Okay, so the above 2 quotes are actually from book 2 in the series, but we really, really liked them. We apologize to anyone who may have been mislead. Please send written complaints to the below address. Thank you. Why: Don’t drink the water! Seriously, if the liquid in your hand has any kind of greenish glow – don’t consume it! Kyle and Briana were enjoying a pleasant day on the lake when the latter decides to add a little excitement to the afternoon. Having a reputation for pushing the limits, Briana pressures Kyle to partake in a half mile swim towards a series of underwater caves. Tragedy strikes almost at once in the form of a nasty speedboat hit-and-run. Just when Kyle is sure his friend is lost beneath the depths of the lake forever, Briana suddenly reappears with more life and vigor than ever before. The details of her miracle cure seem simple enough, yet the implications are far reaching. Standing in at just over 100 pages, Wild Child is a quick, fast paced story with plenty of page turnability! The writing was straightforward and the plot was unique. Both main characters are complex and if there’s anything we found wanting, it’s on the side of development. We wanted more! We wanted to know what drove Briana to be such an adrenaline junkie and better understand why Kyle had some pretty significant “daddy issues”. Nonetheless, a glimpse here and there provided enough to keep the plot moving forward and the reader engaged. Wild Child also contains several interesting themes for the reader to explore. The character of Briana is feisty and always ready to push the boundaries. She’s also a bit of a bully and constantly pressuring those around her to succumb to temptation. On the other hand Kyle is more grounded and loyal, yet has the confidence to stand up and say no to his best friend (we liked Kyle). In short, the characters were real and just when you think you have them figured out; the twist at the end will catch you by surprise. Oops, now it won’t... sorry. Just read the book! 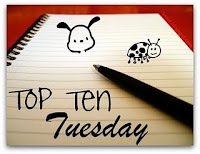 Question: Top 10 Favorite (very) Minor Characters? Arthur “Boo” Radley (To Kill a Mockingbird) – While Boo was a constant topic throughout, he only make a few appearances in person. It would have been amazing to find out what he was doing and thinking behind the scenes. Marvin (The Hitchhiker’s Guide to the Galaxy) – The greatest robot dealing with depression of all time! We love characters with issues. Sir Cadogan (Harry Potter and the Prisoner of Azkaban) – One of the bravest (and clueless) characters in the entire series. He brought a smile to our faces with every appearance. The Old Man (James and the Giant Peach) – Such an intriguing character. We’d love to get our hands on a bag of his crocodile tongues. Ben Gunn (Treasure Island) – Another character that can be questioned regarding his minor status, but anyone marooned on an island for 3 years must have some pretty interesting stories to tell. Aunt Pittypat (Gone with the Wind) – This character was so much fun. And while she didn’t have too many redeeming qualities, it would have been fun to tell her some kind of dramatic gossip just to watch her nearly faint and ask for the smelling salts. Mr. Fezziwig (A Christmas Carol) – One of the greatest bosses in all of literature. Plus, he had some crazy dancing skills. Alba (The Time Traveler’s Wife) – The genetic disorder in this book is soooo fascinating. We’d love to know more about Alba’s adventures. Miss Honey (Matilda) – She’s one of literatures most beloved teachers and the standard for which we judge those in the real world. 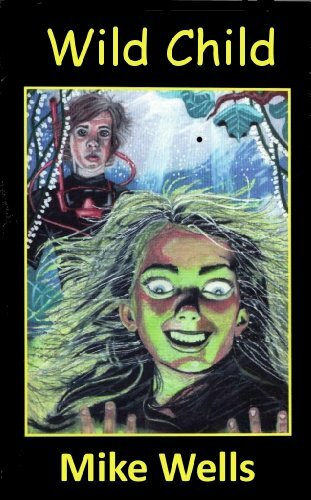 Emmeline, Adeline, and the ghost of Angelfield (The Thirteenth Tale) – Okay, so maybe these characters aren’t exactly obscure, but there’s so much more we want to learn about them. Books to Movies Challenge - Official Picks! Following a long night of healthy debate, we have come to an agreement on our picks for the 2011 Book to Movie Challenge! Of course, all books listed below are subject to change without notice or remorse... For now we’ll be shooting for the Blockbuster level with high hopes of adding a few more. There’re still plenty of spots open for this challenge, so head on over to our original post and sign-up today!!! 2011 Books to Movies Challenge original post. 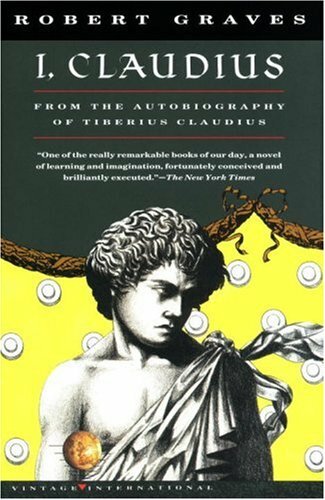 I, Claudius is a fictitious autobiographical account of the life of Tiberius Claudius Caesar Augustus Germanicus (Pretty cool name, huh?). The novel begins with the fateful stabbing of Julius Caesar and culminates with Claudius’s rise to power as Emperor of Rome. Everything inbetween is an eye opening account of first century politics and the consequences of unchallenged imperial power. In our opinion, Robert Graves created a wonderfully unique voice in Claudius. The main character is the poster child for flying under the radar, which in this case, has a very positive effect on his life expectancy. It was surprising to read just how barbaric the Roman Empire was, yet the main character remained a refreshing voice amidst a line of arrogant and selfish rulers. The beginning of the novel was a bit difficult to digest as countless names and relationships were established right out of the gate. Still, once we had a chance to become acclimated with the plot, we actually learned a lot and had a jolly good time along the way. Never again will we romanticize about a time travel vacation back to the Roman Empire. While this time period is fascinating, it was WAY too dangerous for our tastes. Anyone of relevance ran the risk of being poisoned, being banished to a foreign island, or standing trial for false charges brought forth by “informers”. Not that we would have run the risk of being relevant, but still. And don't even get us started on the togas. Yea, no thanks. Question: Top 10 Meanest Males? Answer: Two weeks ago was ladies night, so now its time for the men. Zaphod Beeblebrox (The Hitchhiker’s Guide to the Galaxy) – Honestly, it’s just so much fun to say Zaphod Beeblebrox’s name not to include Zaphod Beeblebrox. Zaphod Beeblebrox. Max Devore (Bag of Bones) – The wheelchair scene by the lake seriously took about 3.5 years off our lives. George Wickham (Pride and Prejudice) – Besides being a compulsive liar, he has very few other redeeming traits. Heathcliff (Wuthering Heights) – Yes, he loved Catherine with all the violent passion his selfish little heart could muster. Bla, bla, bla. He was still a jerk (wow, we may need to include ourselves for number 6 after that mean spirited commentary). Acheron Hades (The Eyre Affair) – This is one nasty villain and the face of literary crime. What he did to Jane Eyre was.... well. President Snow (The Hunger Games) – He oversaw the Hunger Games. Enough said. Waleran Bigod (The Pillars of the Earth) – It’s hard not to pick one of the males from the Hamleigh clan for this, but we thought we’d change things up. Uriah Heep (David Copperfield) – Uriah is a heap of... well, he’s not really that nice of a person. Captain Hook (Peter Pan) – Honestly we were having a little trouble choosing number 10 so we thought we'd throw in one of the most infamous pirates of all time. And they said Two Bibliomaniacs couldn’t do suspense... Just watch the clip! Why: The age old story... boy longs for superpowers. Boy recognizes his dream. Boy falls in love with super good looking, yet slightly insecure super-heroine. Boy uncovers sinister plot. Boy must make a cadence of decision that will have a profound influence on the fate of the entire world, all the while, indulging a journey of self discovery and trying not to get blown up by a deadly Teke-blast. 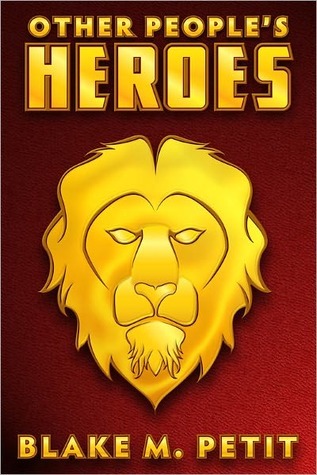 Other People’s Hero’s has the distinct honor of standing as our first superhero related novel. Fortunately, it did not disappoint. From the beginning we were sucked into the fantastical world of superheroes and super-villains. The text contains many unique personalities, yet there was a good balance of back-story while at the same time keeping the story moving forward. It’s hard not to be intrigued with characters like Merlin Junior, the Conductor, Particle, Animan, the Goop, the Gunk, Justice Giant, and Herr Nemesis. Other People’s Heroes had a few minor flaws, yet none were significant enough to distract from the overall story. The writing was simple (in a good way) and fun and we found ourselves laughing at more than one analogy. The themes are what you’d expect from a comic book type novel – good vs. evil, power vs. submission, greed vs. selflessness, super-speed vs. super-strength – yet each topic was given interesting perspective. For anyone looking to hero-up or for something different than the novel their currently reading (assuming they’re not reading something from the superhero genre), Other People’s Heroes will prove a worthy ally. For us (Evan), April showers brought a whole lot more than just the prospect of increased May vegetation... we dominated our reading challenges. In fact, the Back to the Classics reading challenge is on the mat in a complicated submission hold and the 2nds Challenge just received a reverse piledriver to the top of the head. What’s in a Name is still rather elusive, but we’ve identified some weaknesses that we plan to exploit in May (Okay, we’ll be done with the wrestling analogies). In truth, April was filled with plenty of highlights (The Haunting of Hill House, The Looking Glass Wars, Love Wins, and Carry on, Jeeves) along with a few mediumlights (A Passage to India, The Pickwick Papers, and Titus Groan). We also posted 2 more episodes of our wildly UNpopular meme, Book Blogging Videos, and as of last week booked a landmark guest star. Here are the reviews that we posted in April that fit into our 2011 Challenges. Here’s an update on our 2011 Challenge. All the unpleasant details can be found HERE. Our TBR list for May is filled with plenty of excitement! And Then There Were None, The Princess Bride (finally), The Waste Lands, and ArchEnemy. How did everyone else do in their April reading endeavors? Send us a link so we can check out your progress!